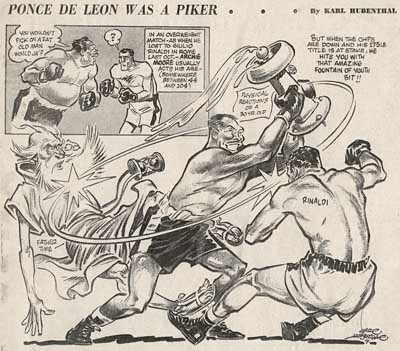 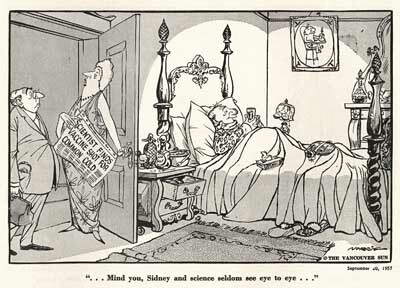 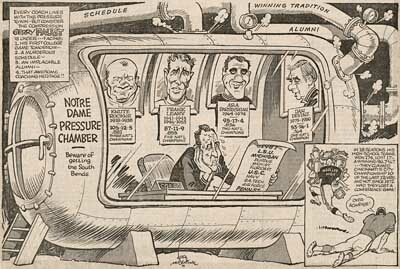 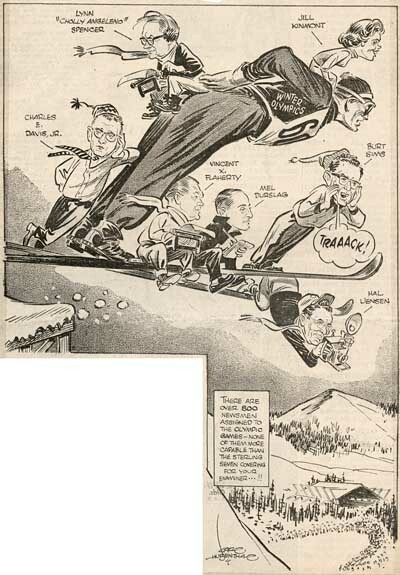 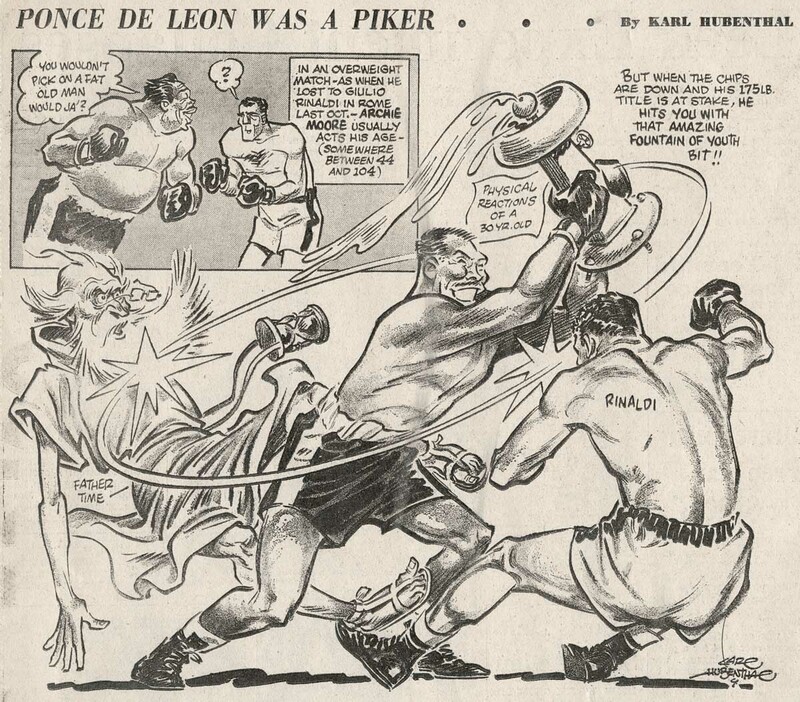 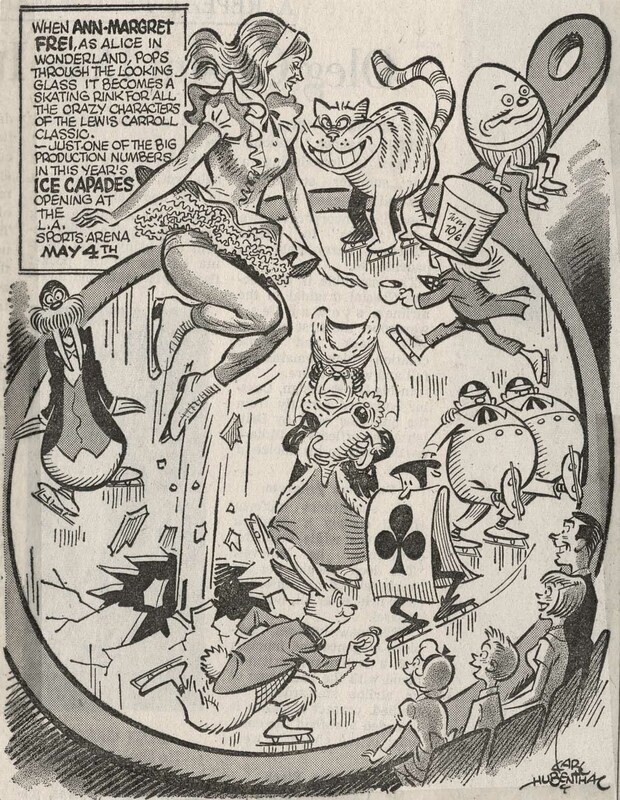 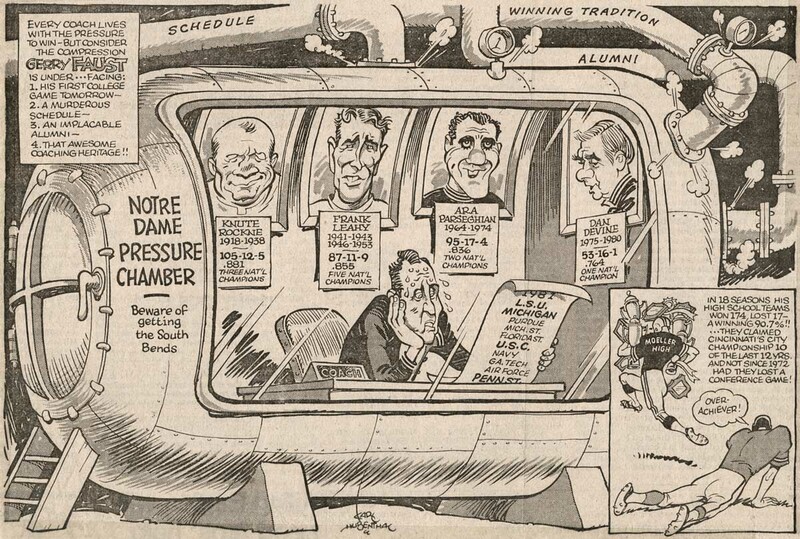 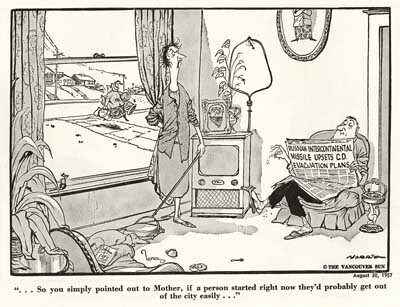 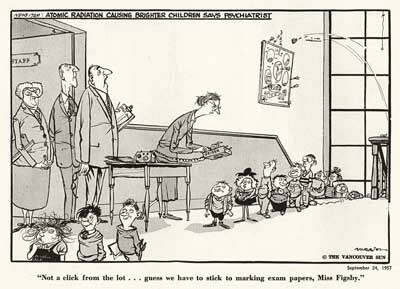 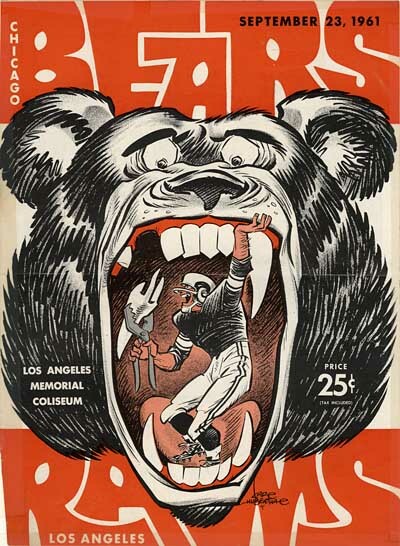 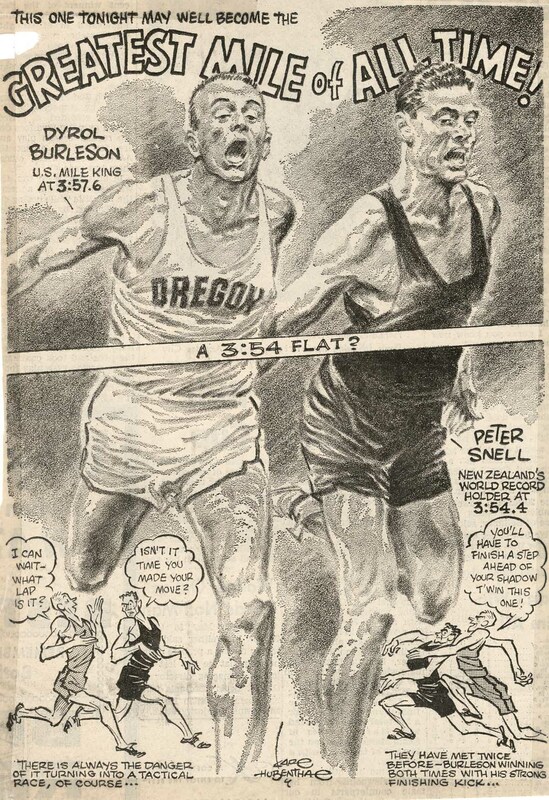 Before the development of high speed film stock and long telephoto lenses, newspapers’ sports pages were illustrated with cartoons, not photographs. 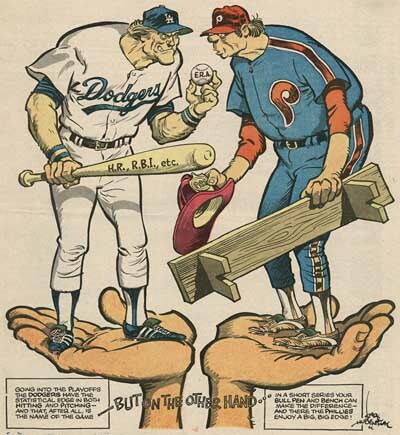 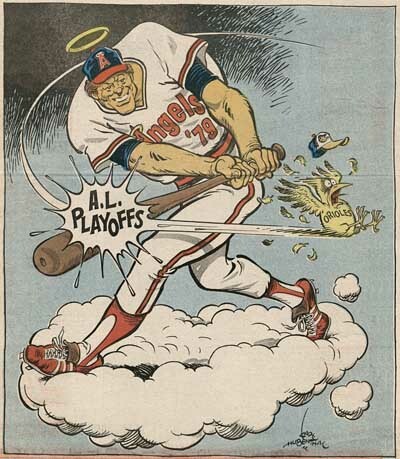 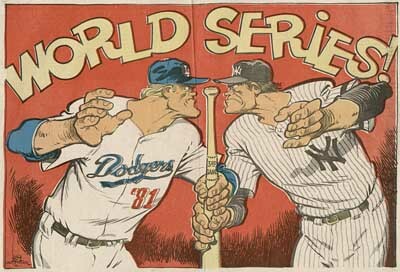 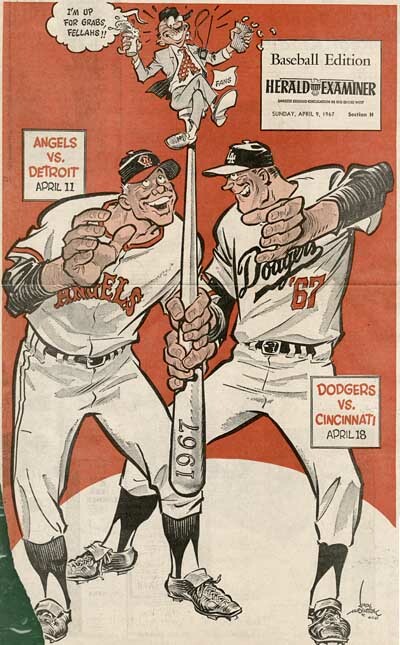 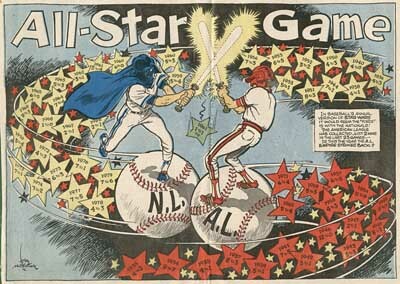 To be perfectly honest, one baseball game looks pretty much like any other in still photos, so it was the job of the sports cartoonist to get across the spirit of the game in his drawings. 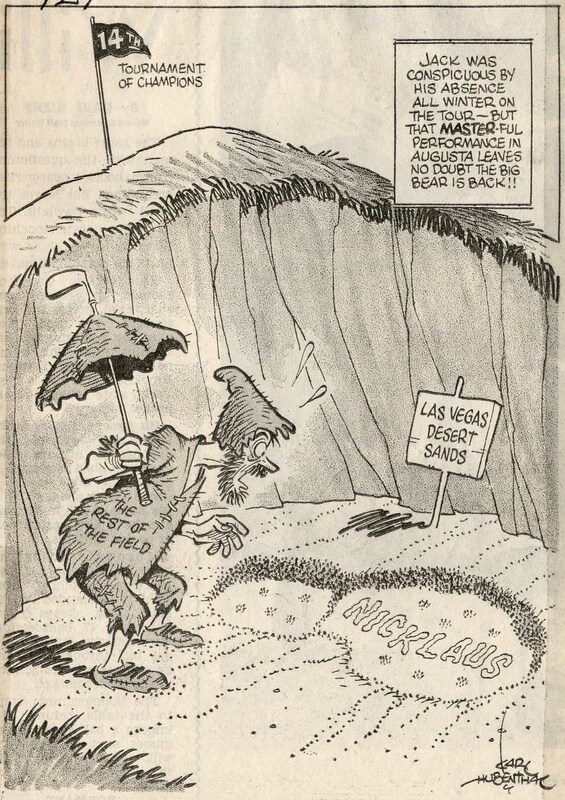 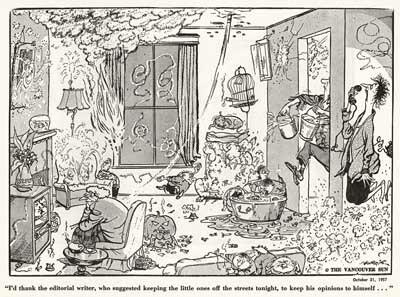 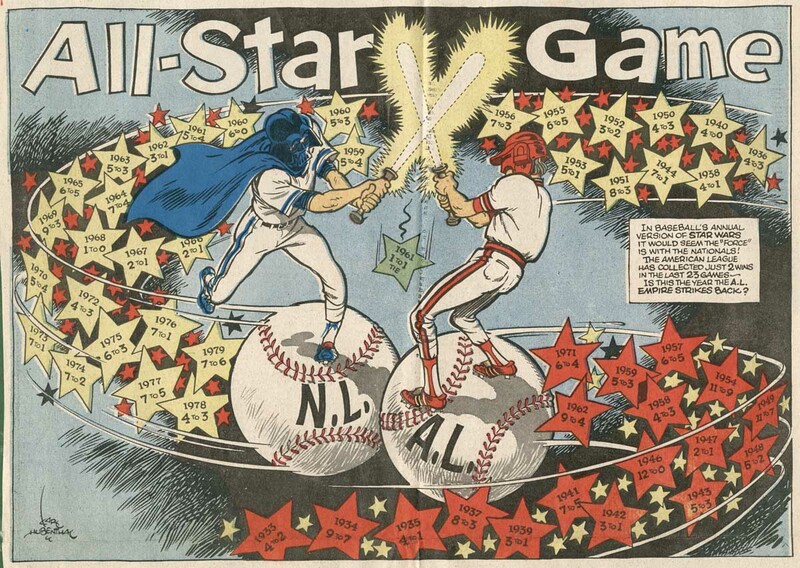 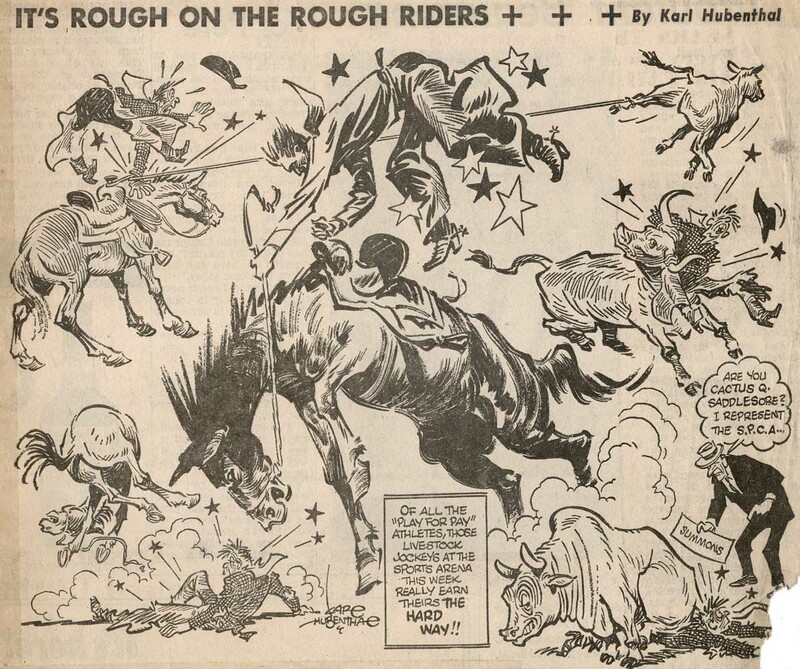 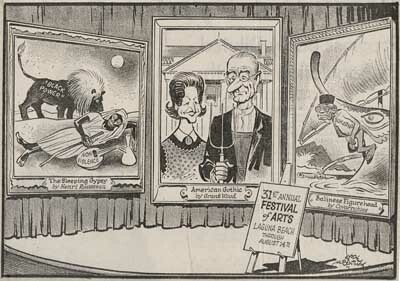 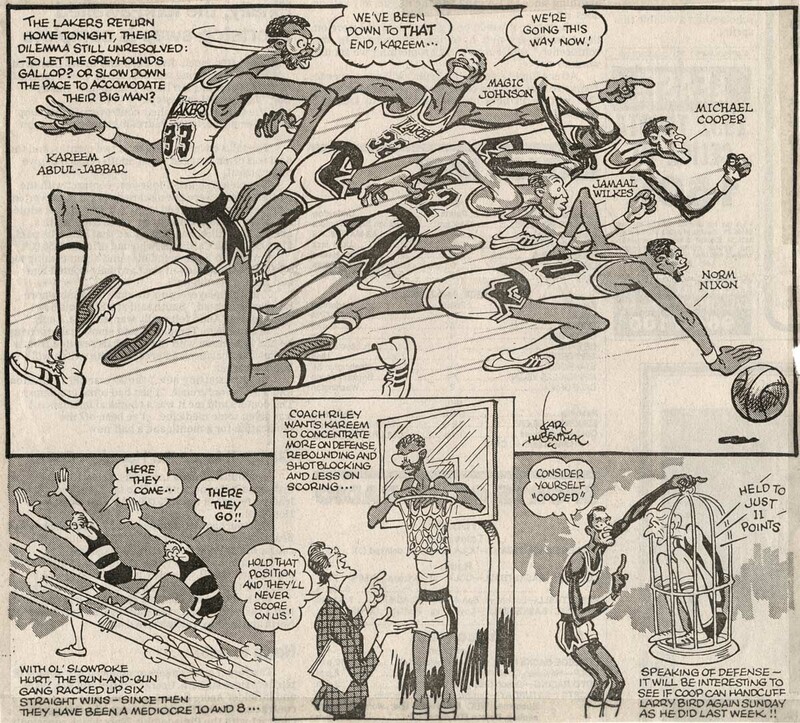 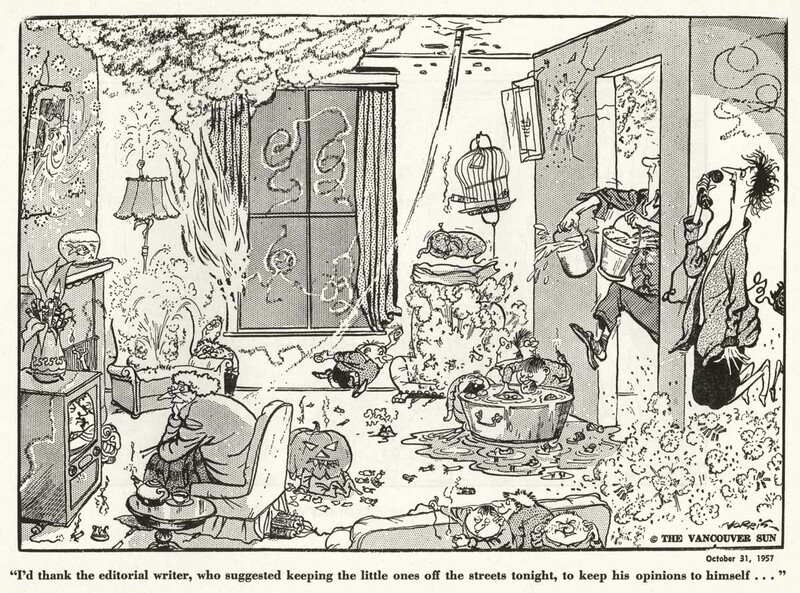 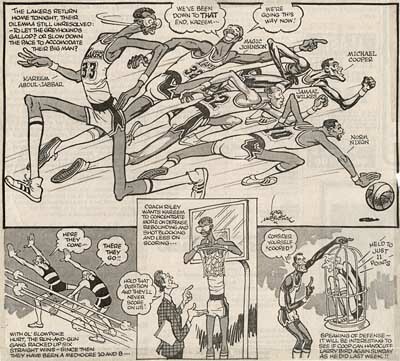 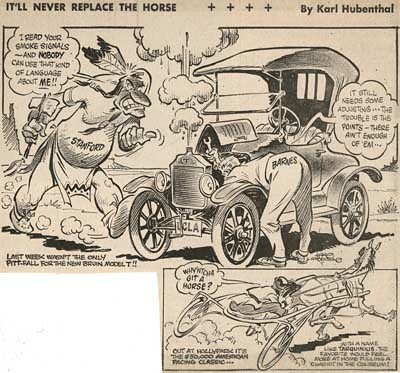 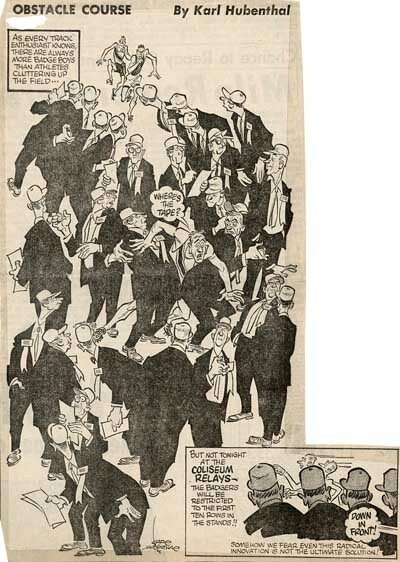 Ozark collected clippings by the greatest of all sports cartoonists, Willard Mullin, as well as one I had never heard of before, Karl Hubenthal. 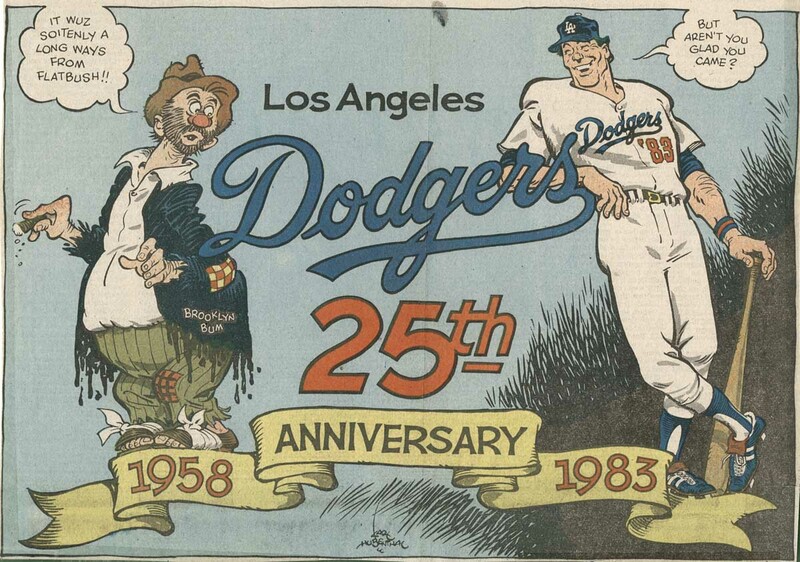 Hubenthal drew for the Los Angeles Herald Examiner, and although I grew up in Los Angeles, my family subscribed to the L.A. Times. 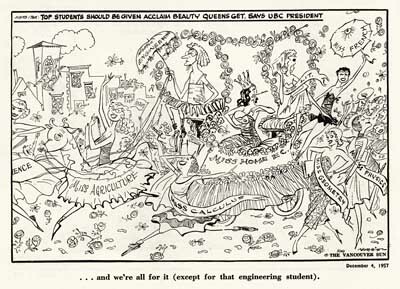 I had no idea that this genius cartoonist was working in my own hometown up into the 1980s. 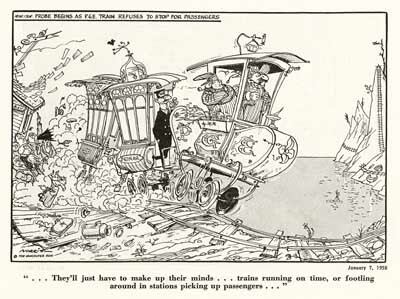 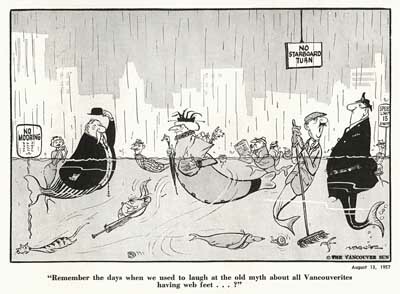 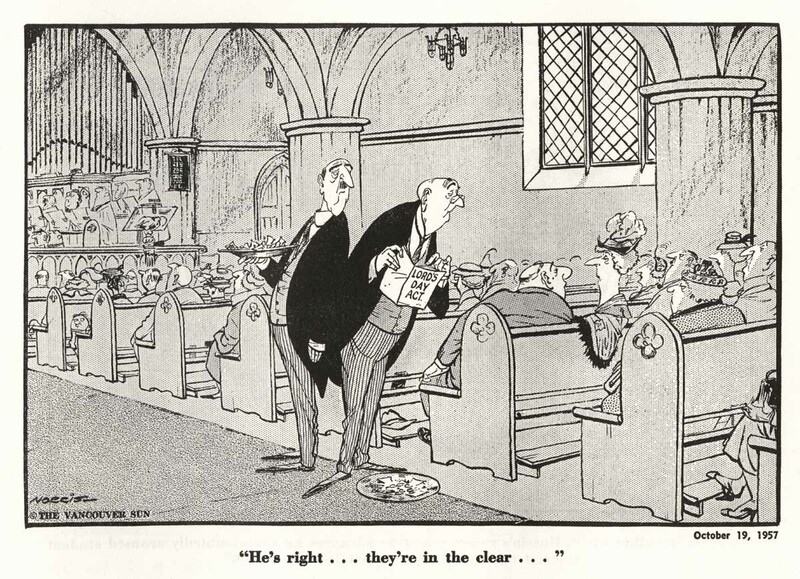 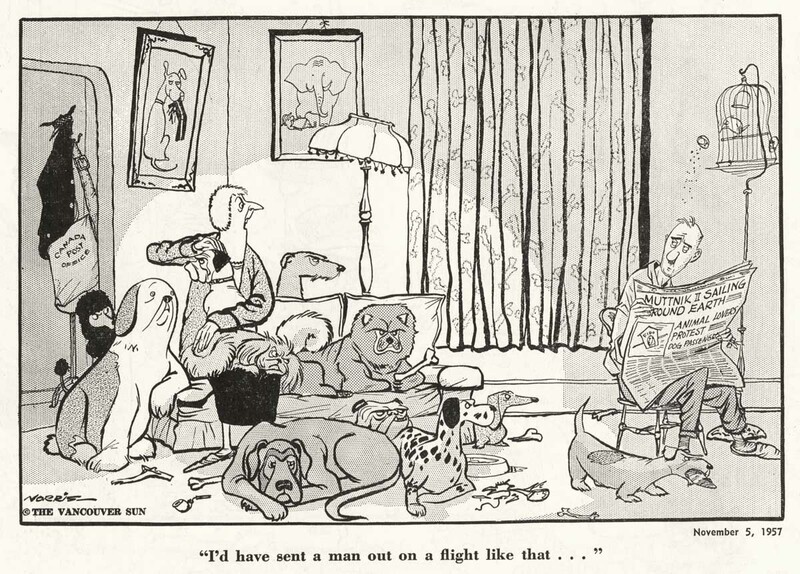 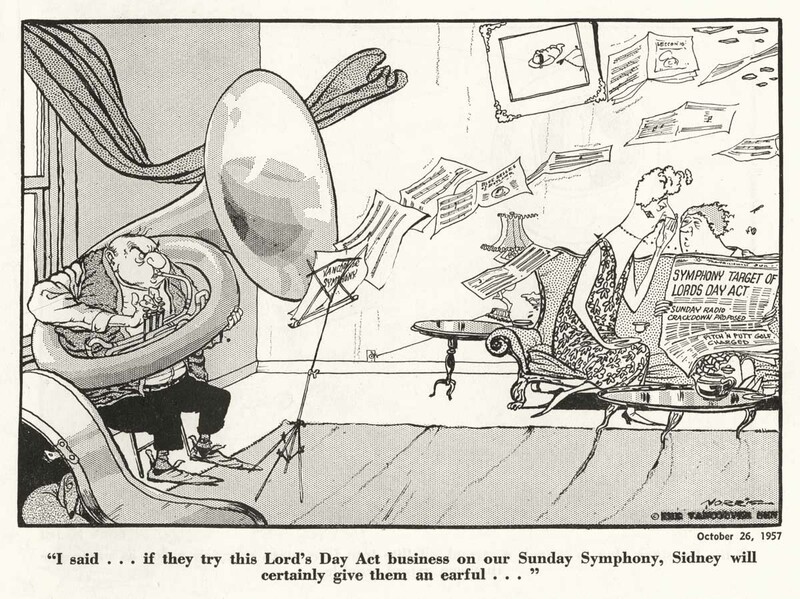 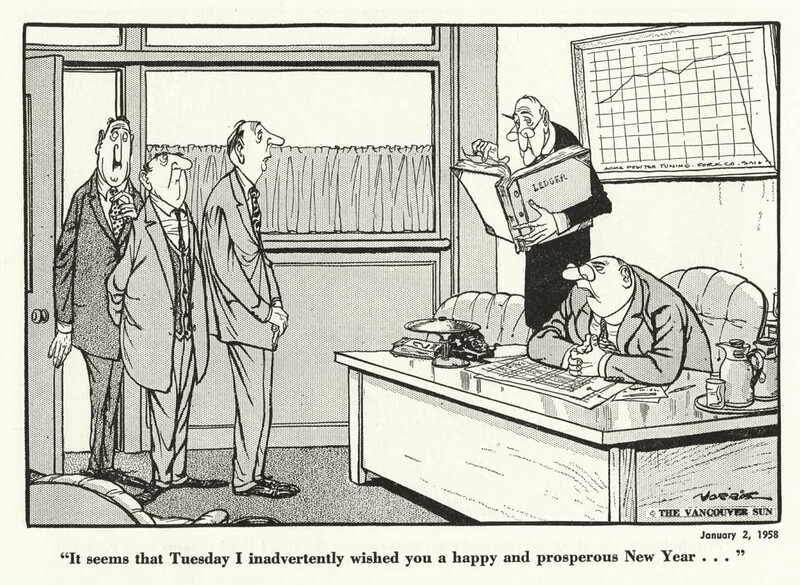 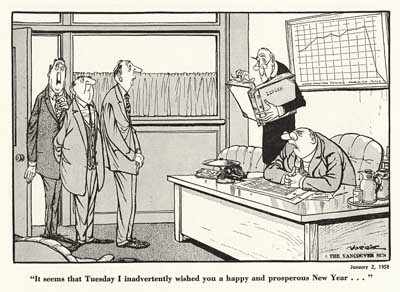 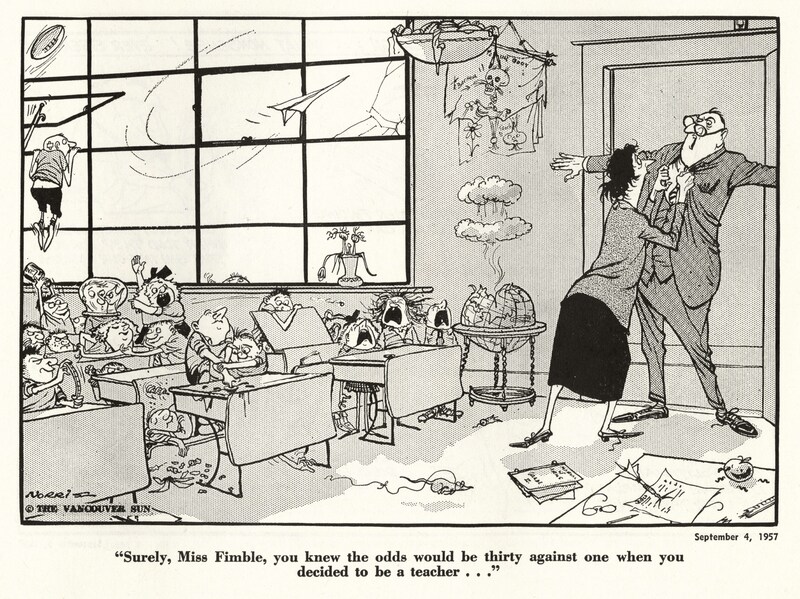 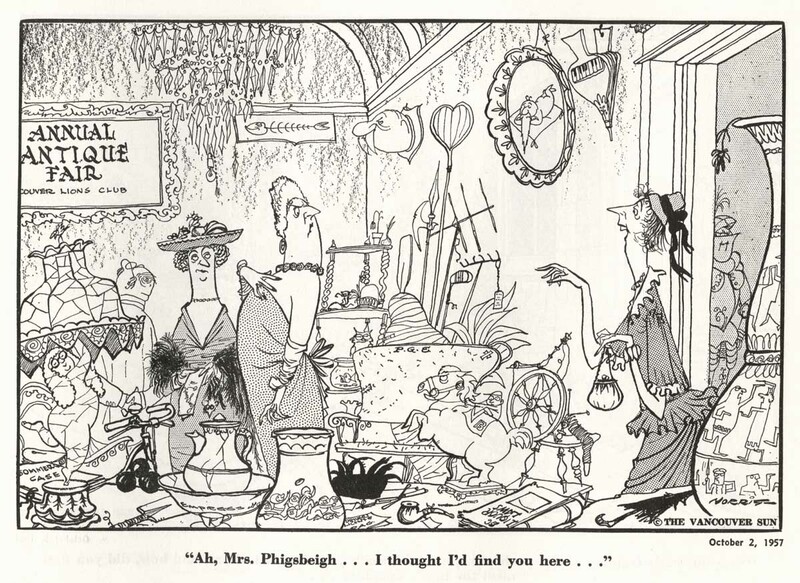 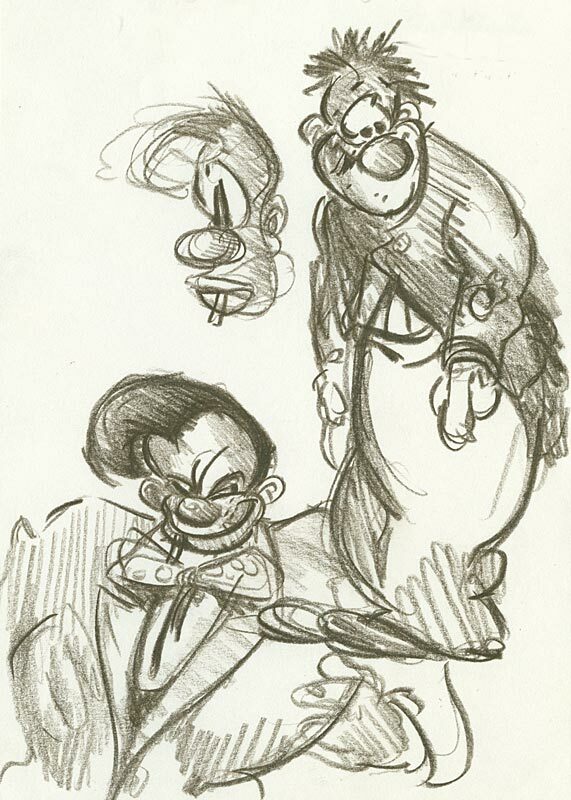 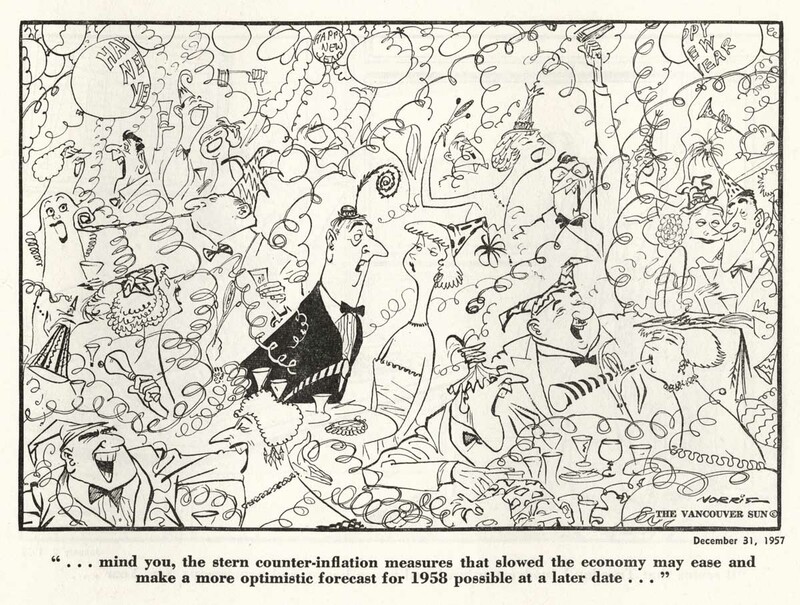 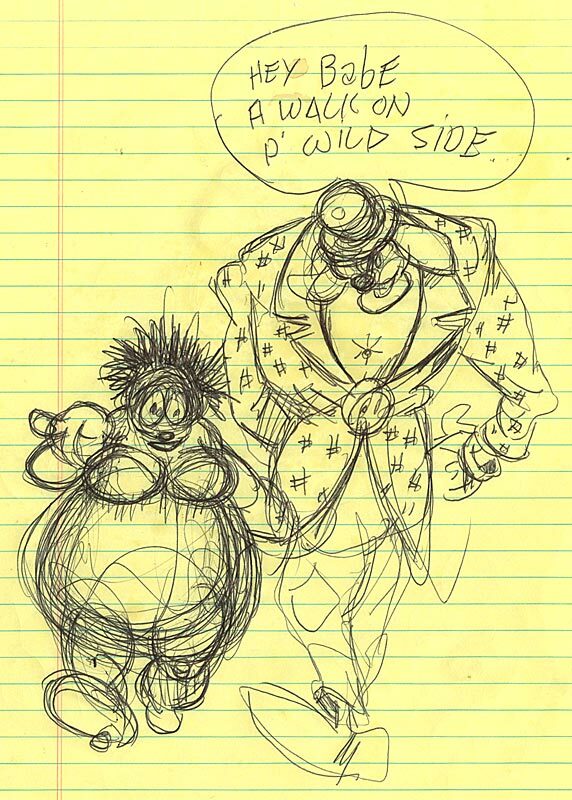 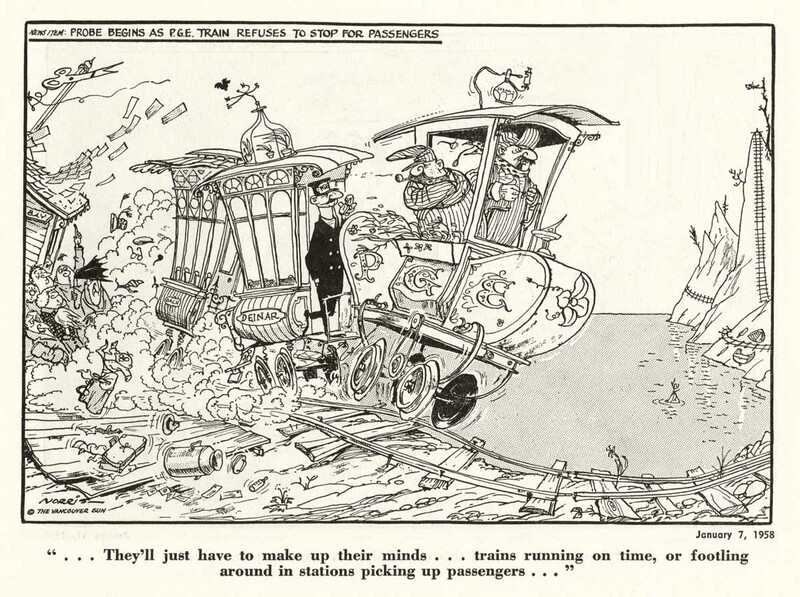 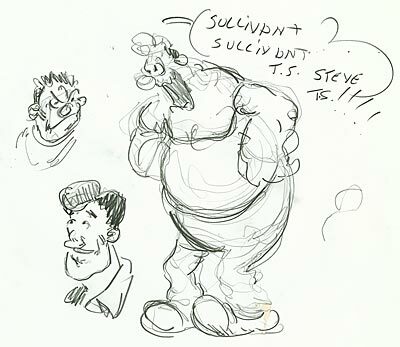 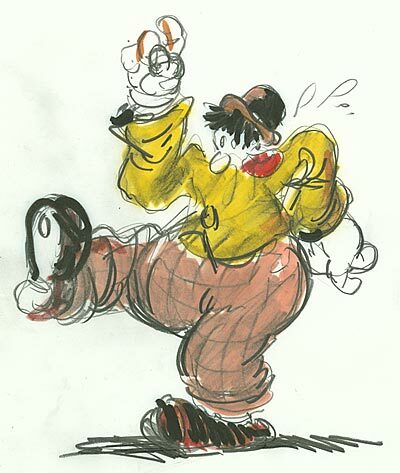 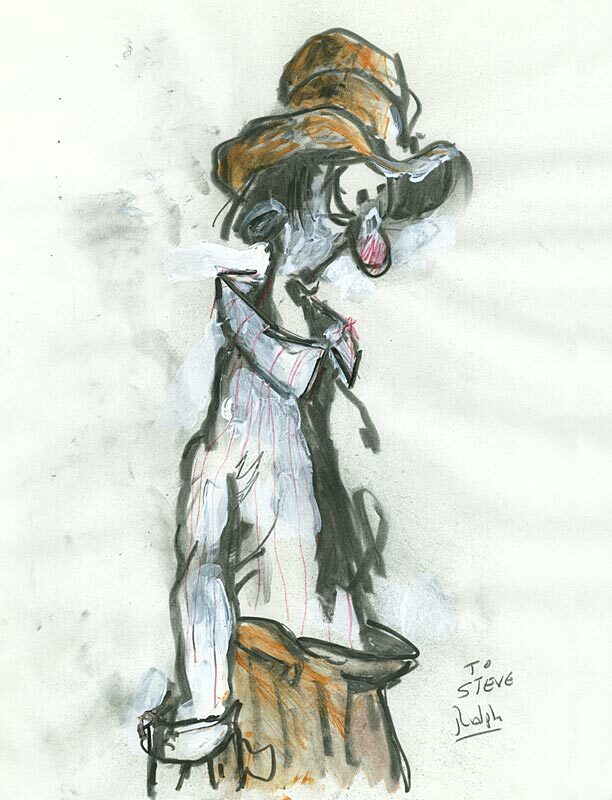 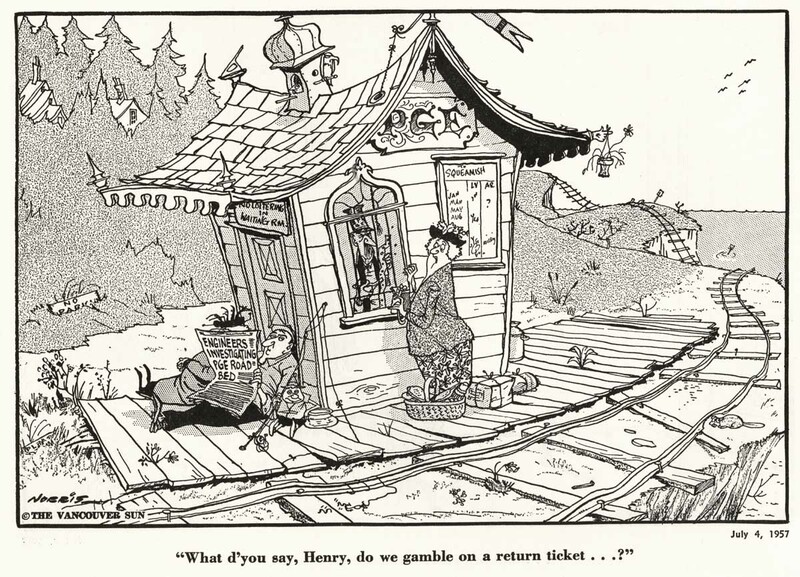 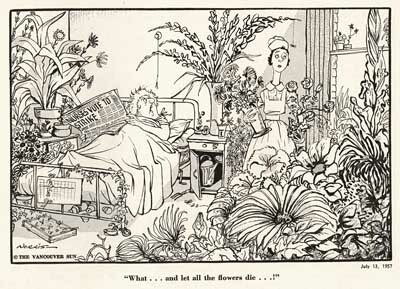 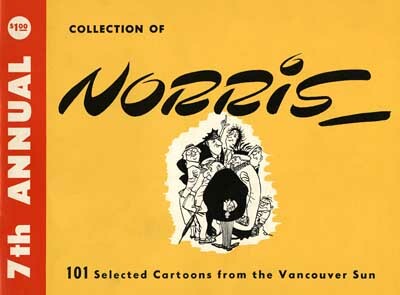 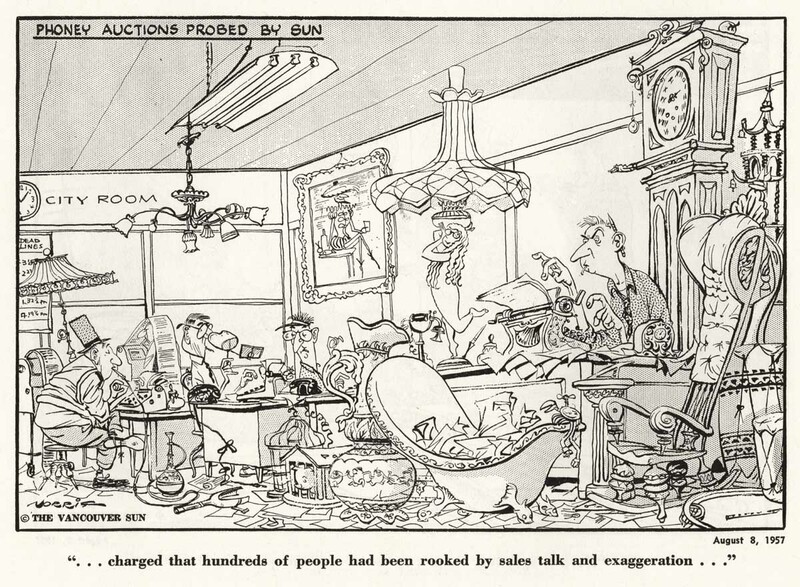 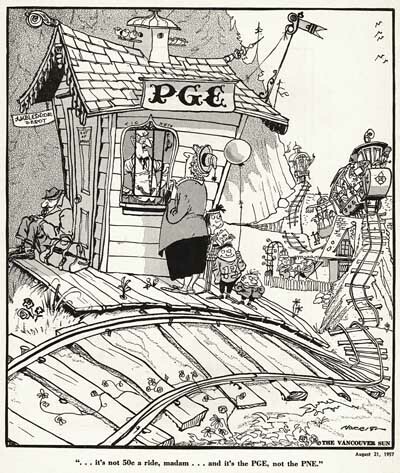 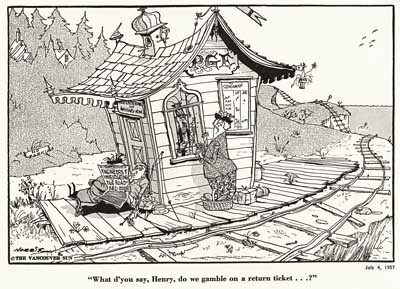 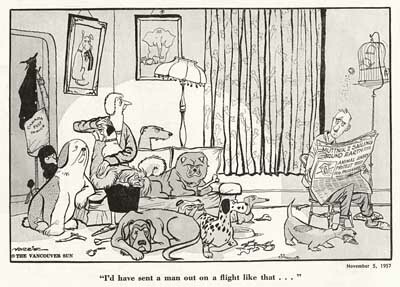 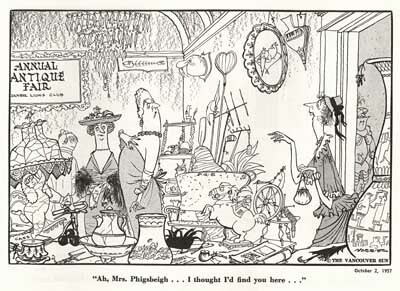 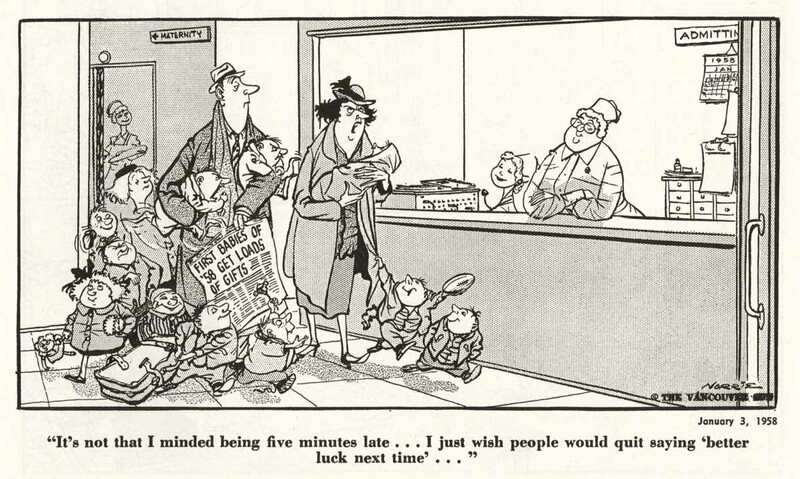 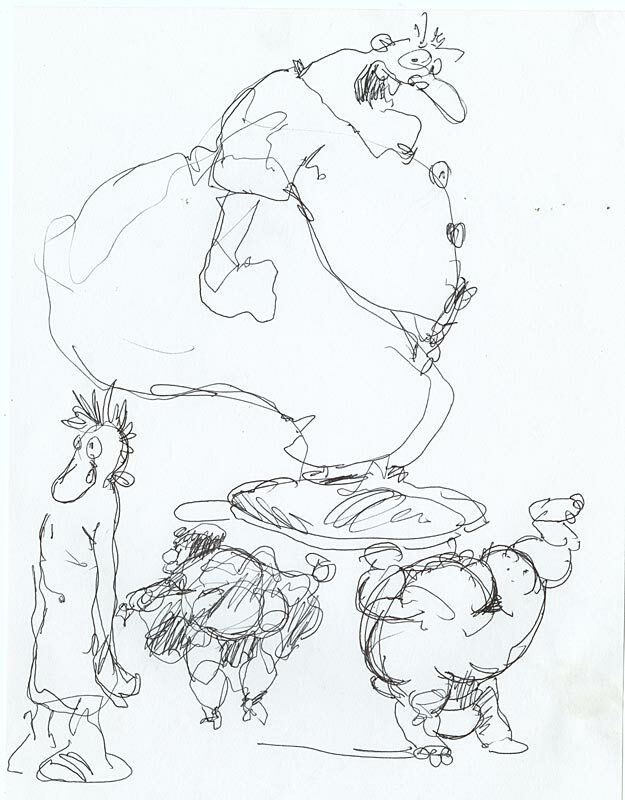 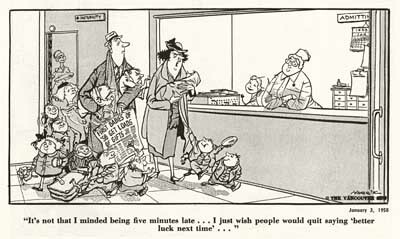 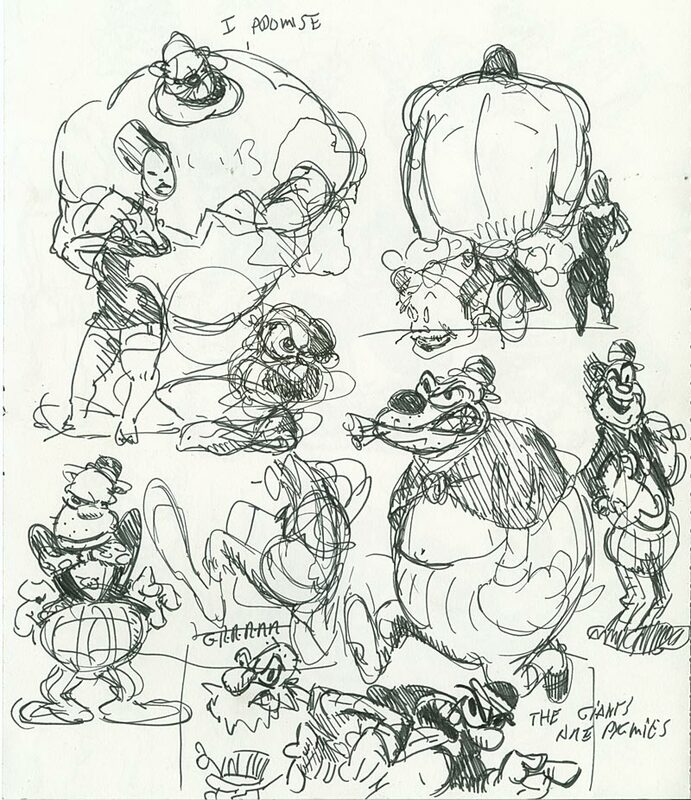 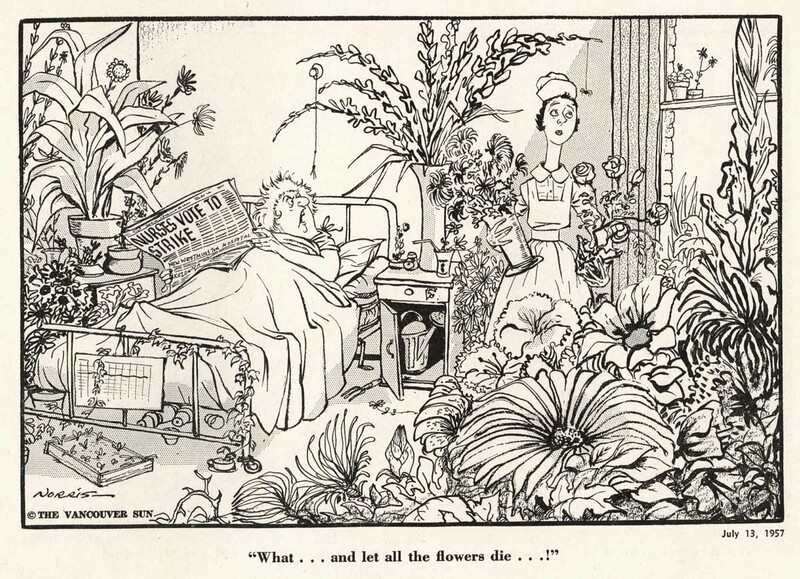 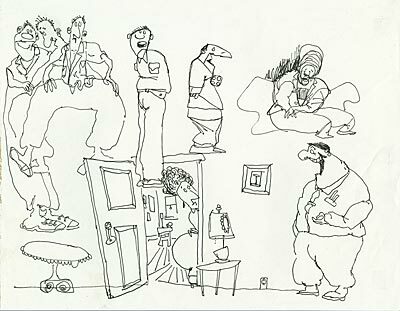 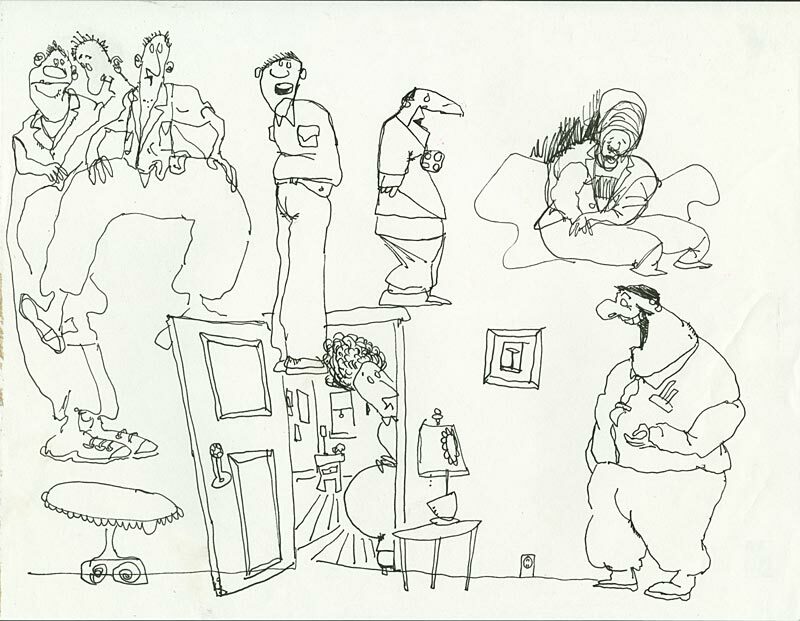 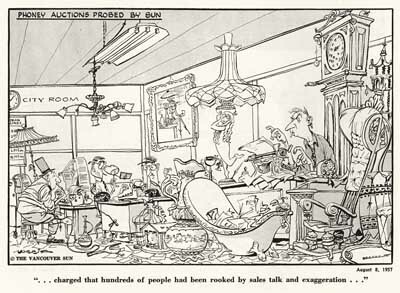 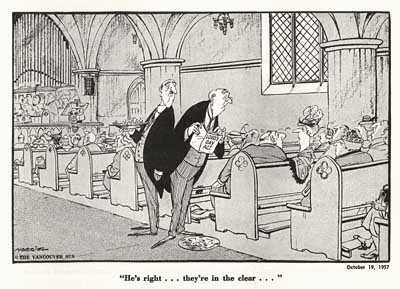 His cartoons have phenomenal energy and sense of humor as well as solid draftsmanship. 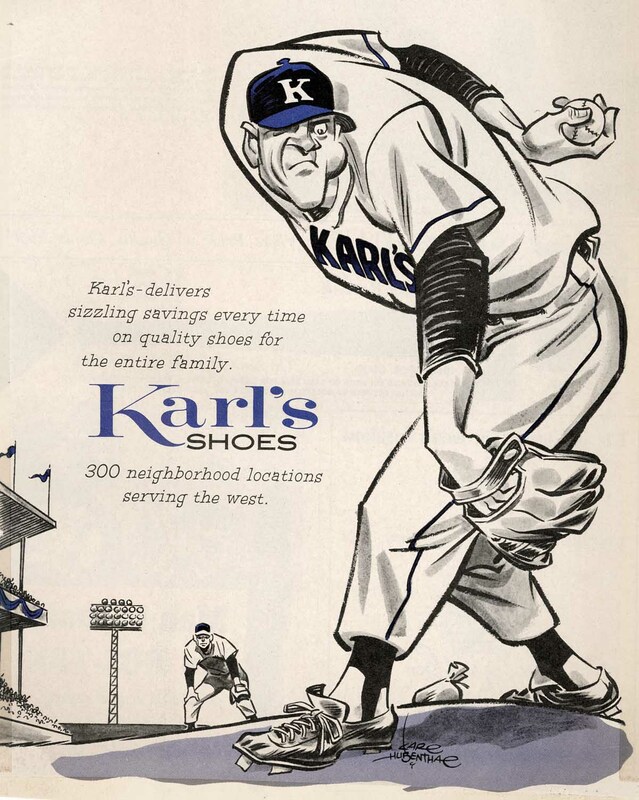 Bob Staake has created a fantastic website devoted to “Hubie”, as Karl Hubenthal was known to his friends. 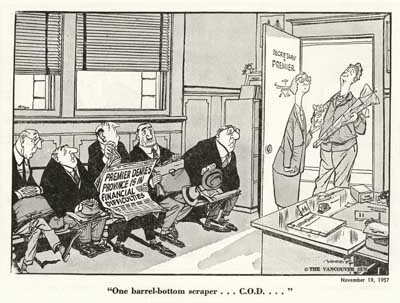 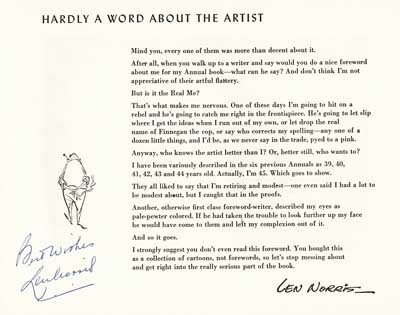 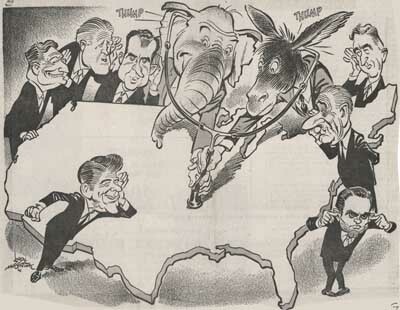 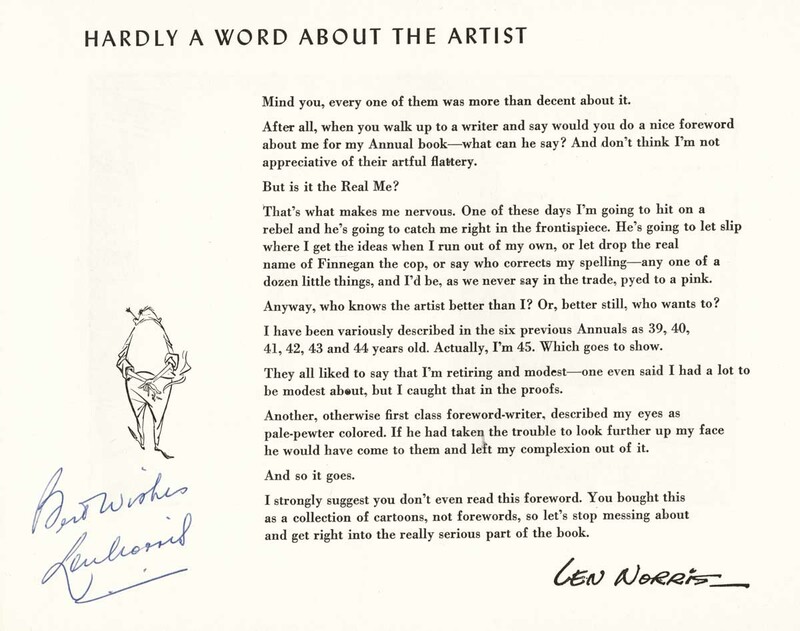 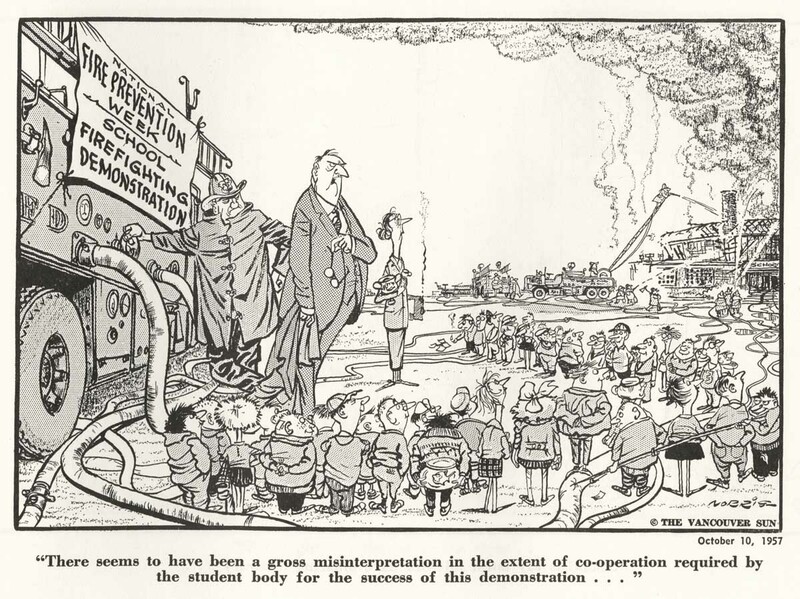 There’s a fascinating biography as well as a must-read article written by Hubenthal in 1966 titled, “Reflections of an Editorial Cartoonist”. 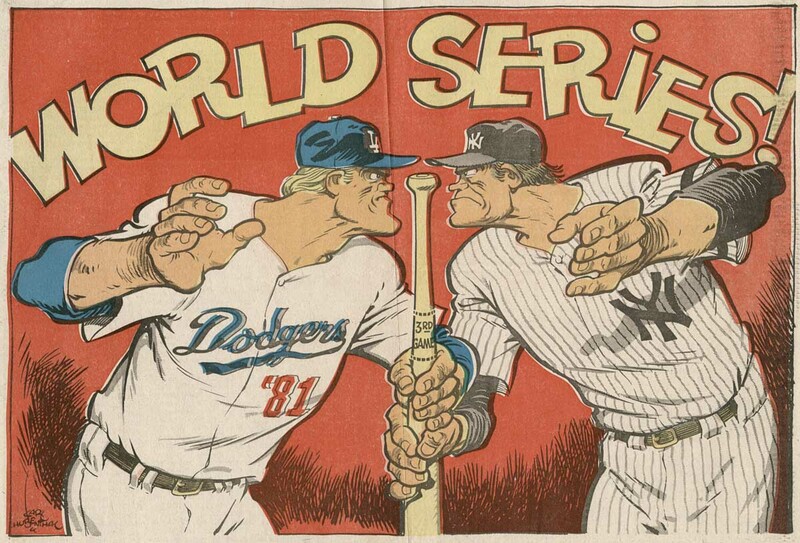 You should take the time to click through and read these. 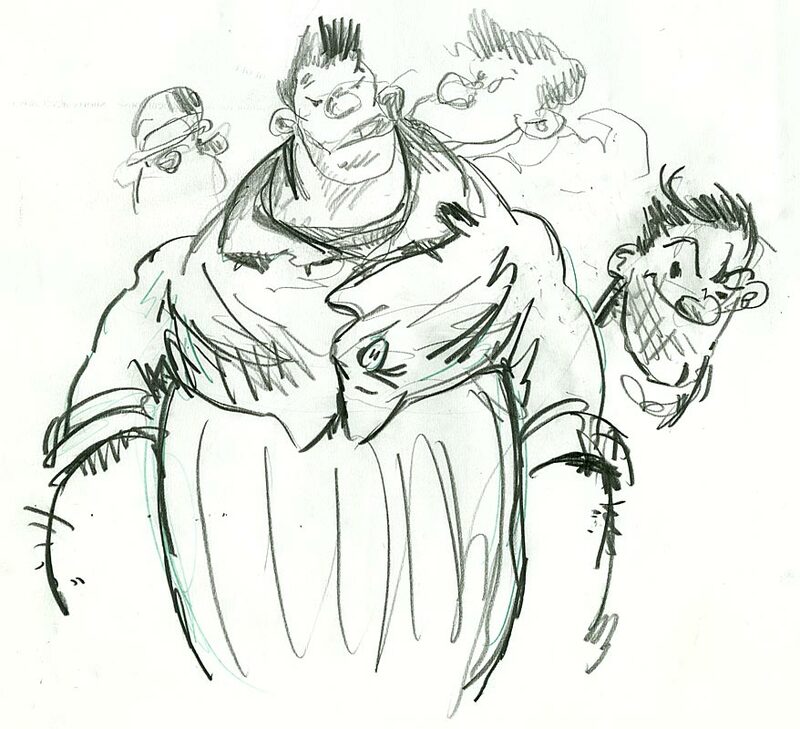 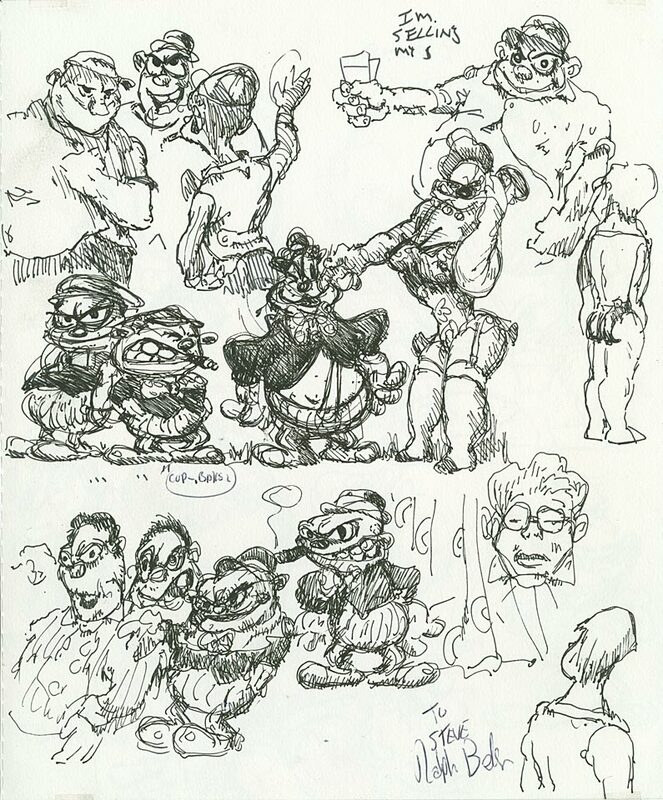 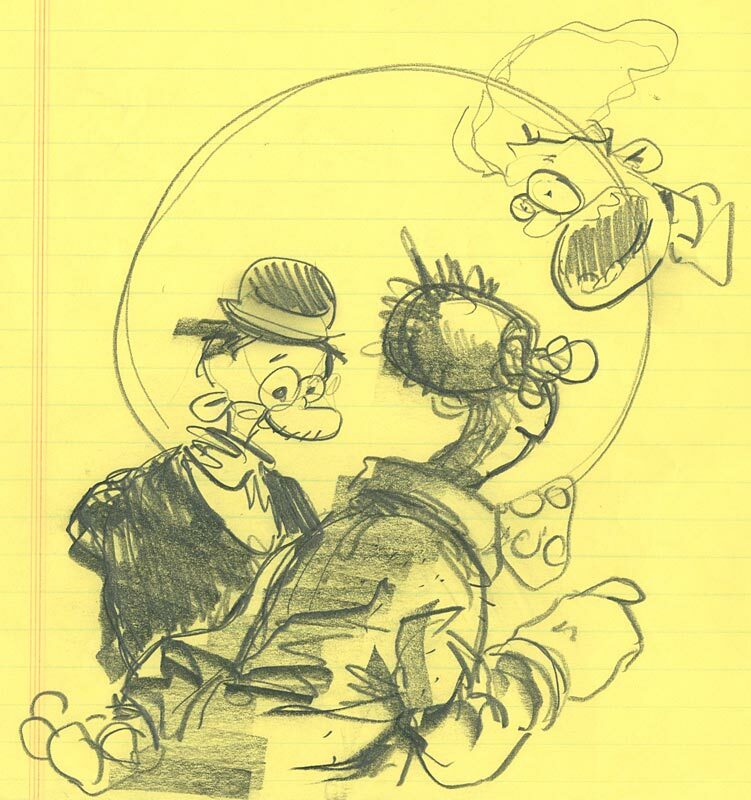 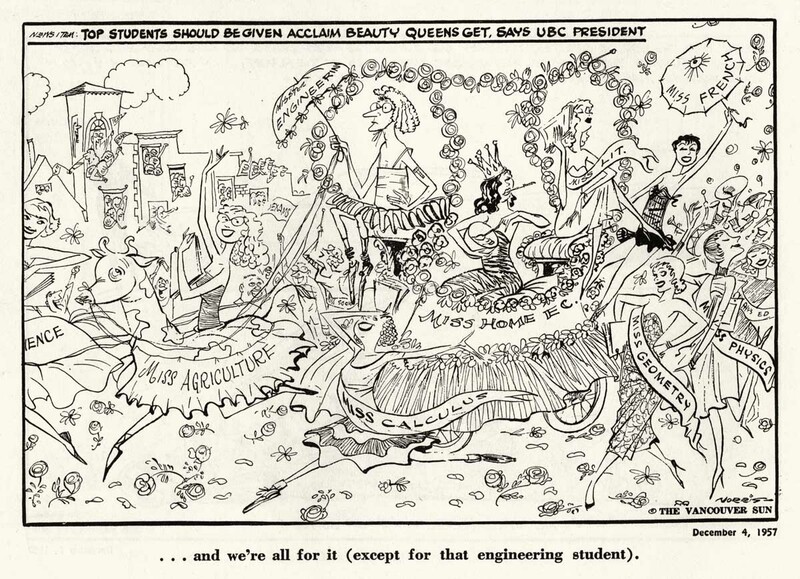 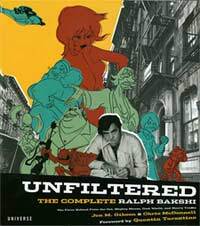 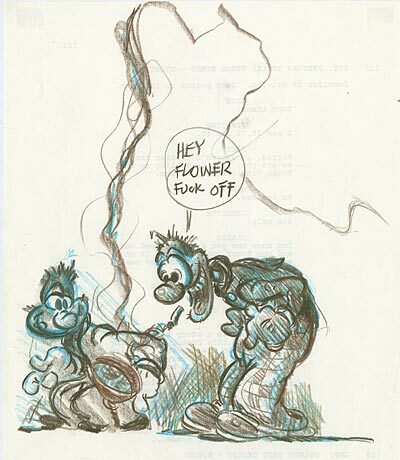 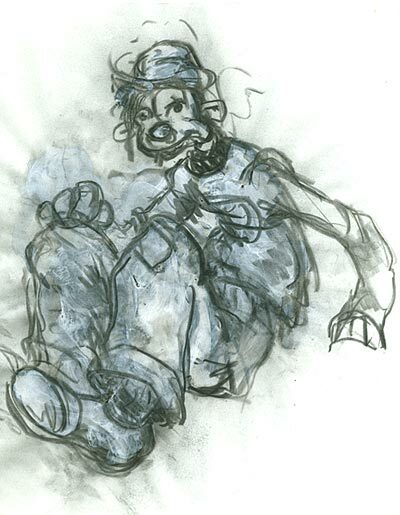 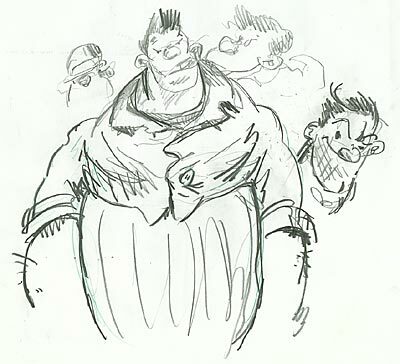 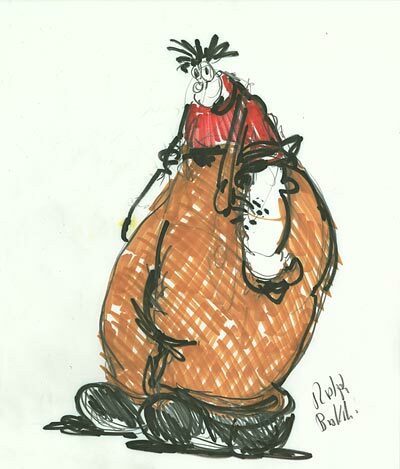 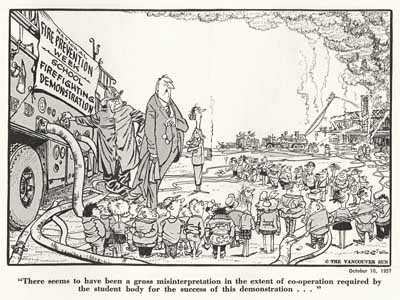 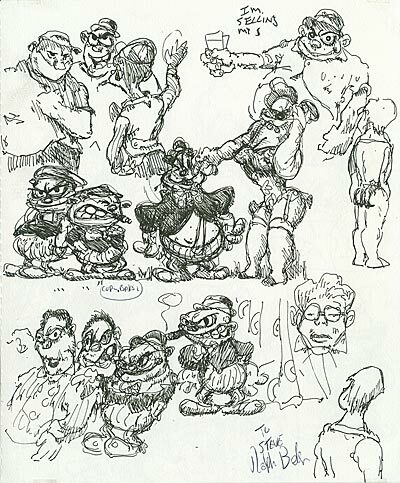 Hubenthal’s career and philosophy are a model for young cartoonists. 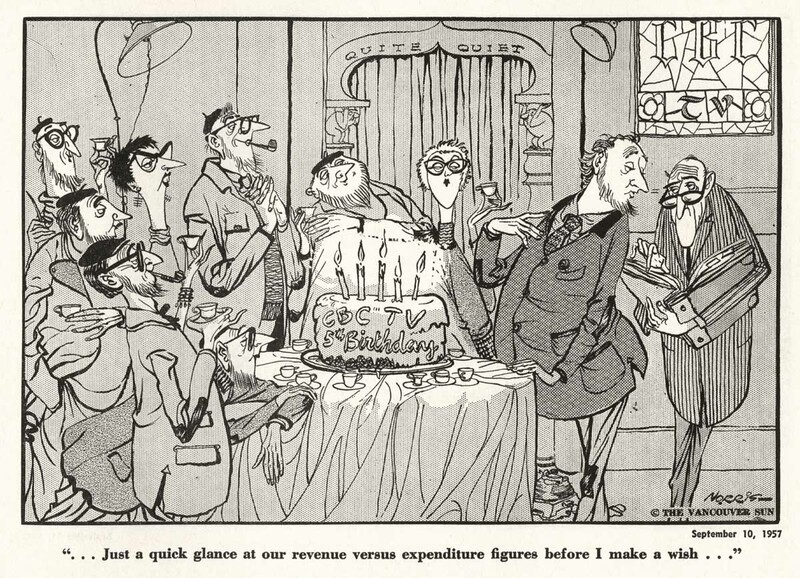 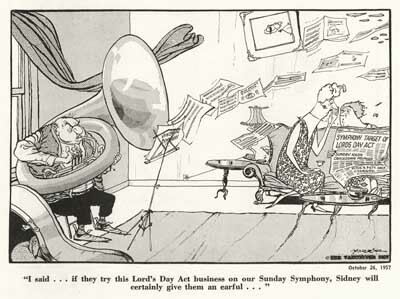 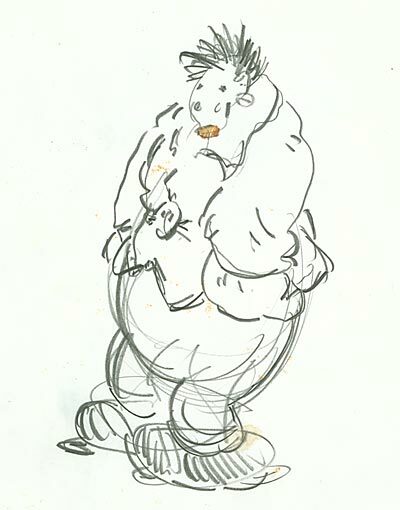 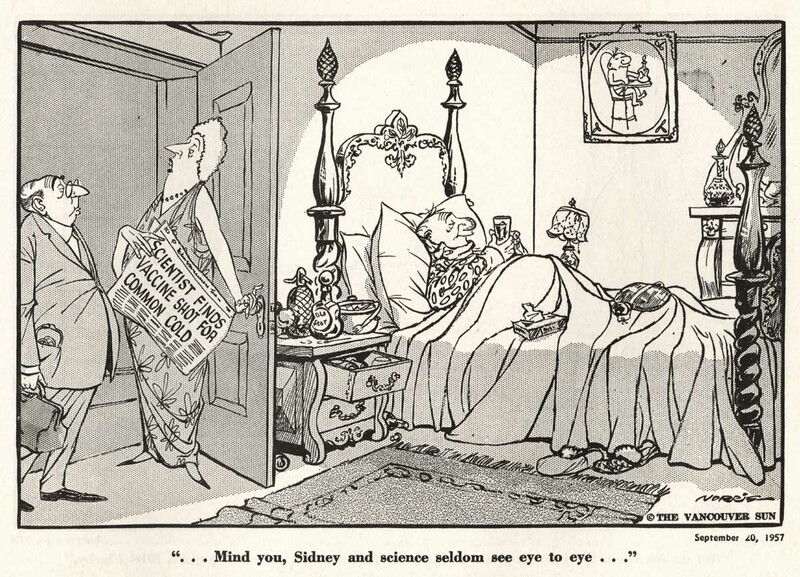 He studied under Herriman and Mullin, and considered himself part of the continuity of the history of cartooning that stretched back to Daumier, Gillray and Hogarth. 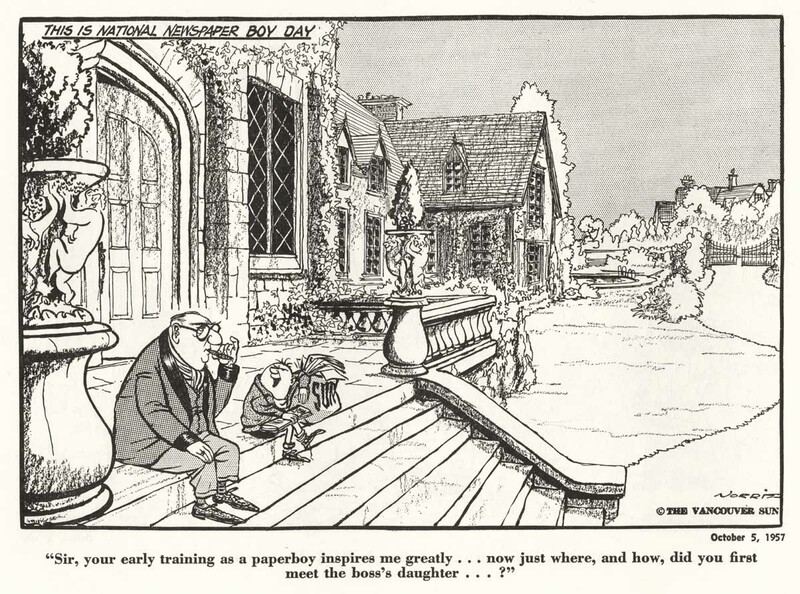 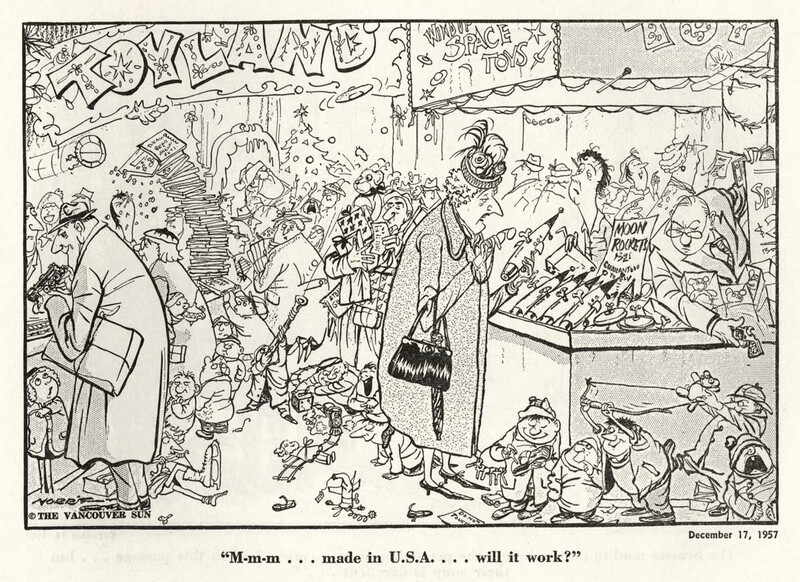 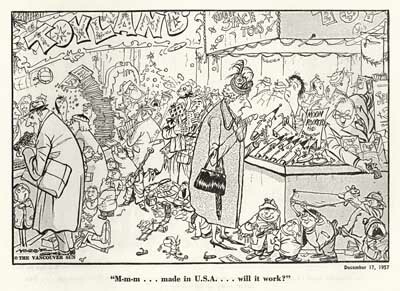 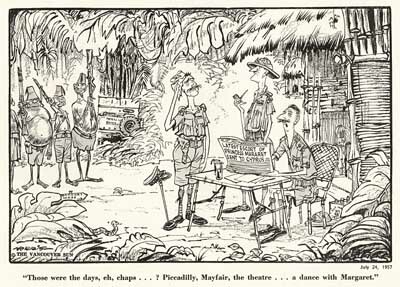 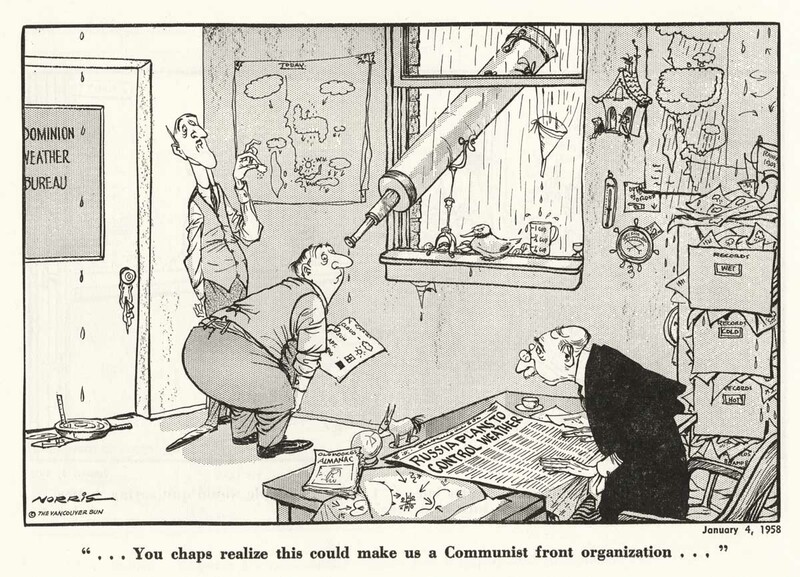 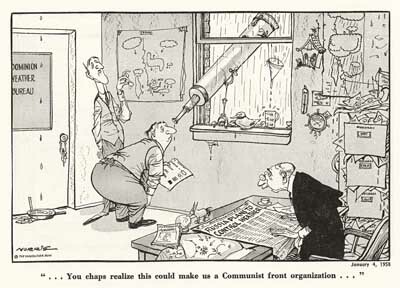 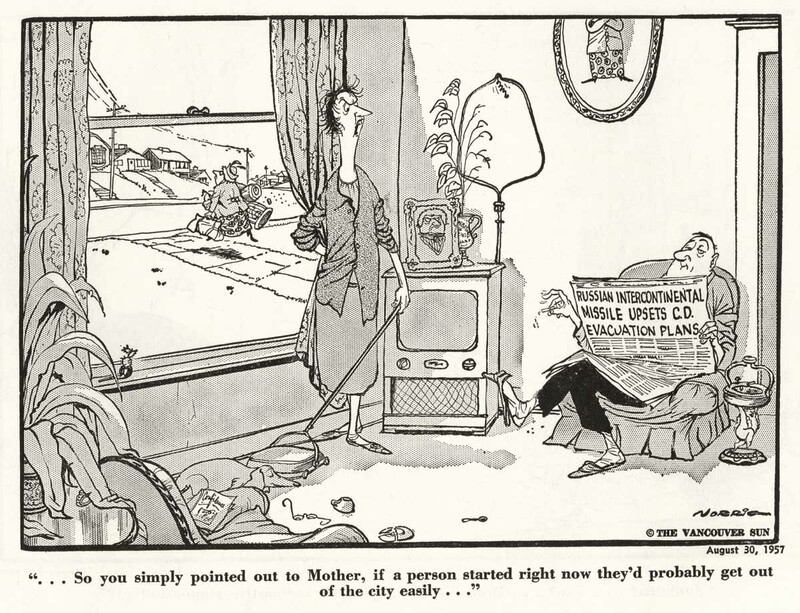 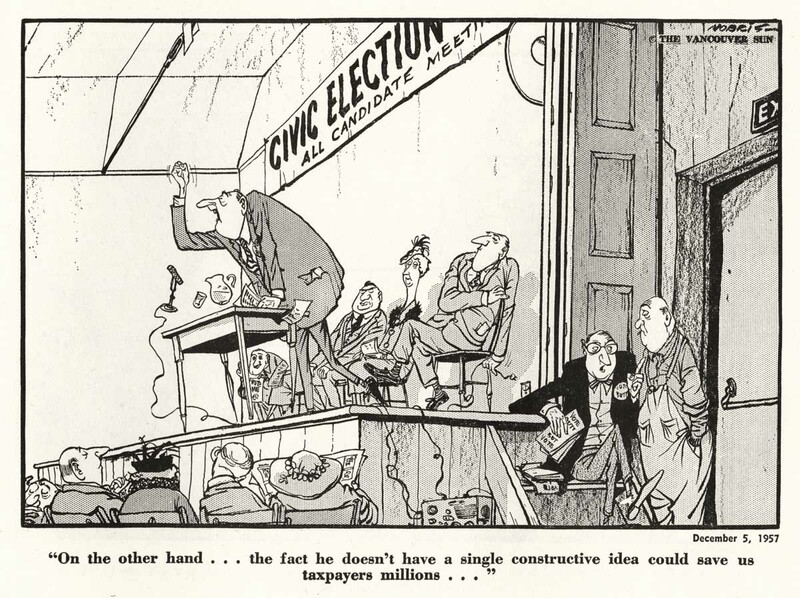 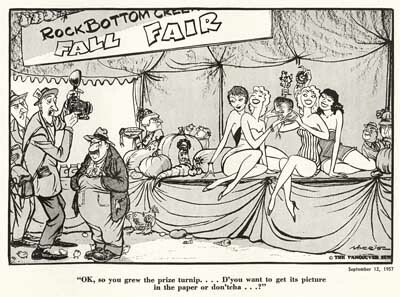 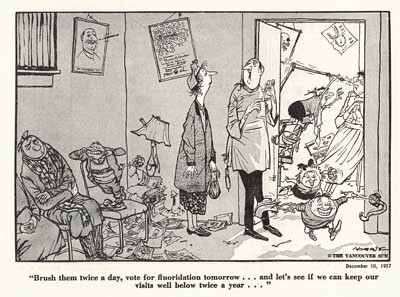 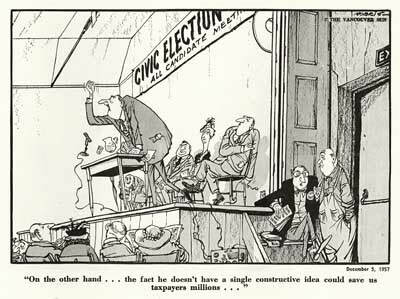 There aren’t many cartoonists today with that sort of foundation in the history of their artform. 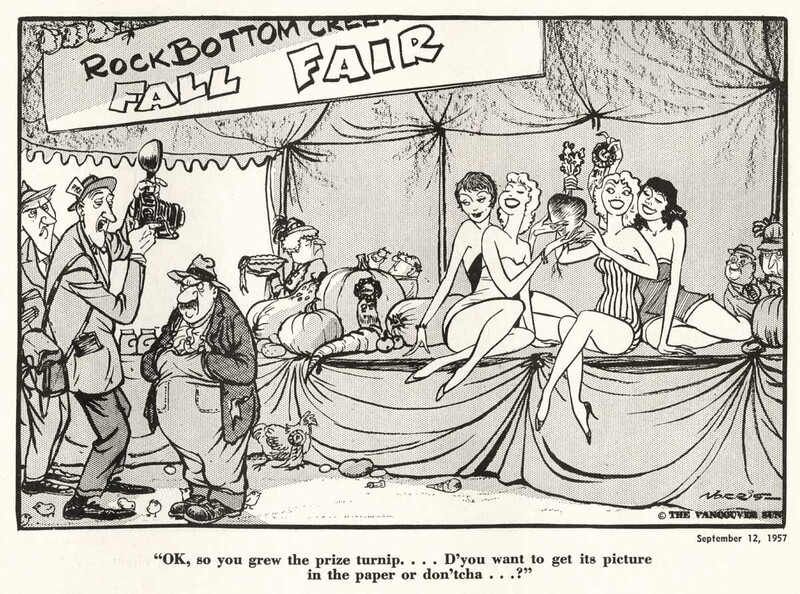 There are a lot more great cartoons in the Ozark files. 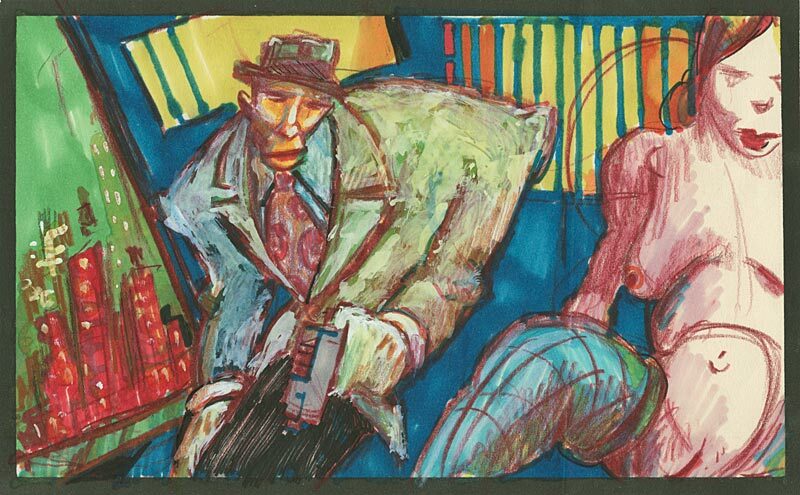 Let me know in the comments if you would like to see more.